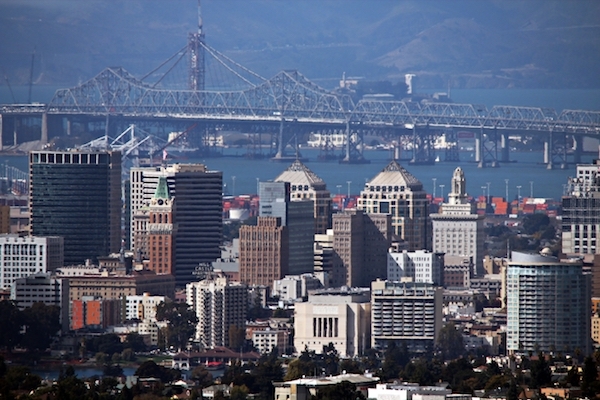 Oakland has become a popular destination for the estimated 20,000 Ethiopian and Eritreans living in the Bay Area, according to the Ethiopian Community Center in Oakland. The East Africans have been steadily migrating to the Bay Area since the late 1980s and early 1990s, seeking refuge from the brutal military dictatorship of then Ethiopian leader Mengistu Haile Mariam. But now, the community is flocking to the area on a more positive note. Drawn to the city for its temperate climate, reminiscent of East Africa, and its food-centric culture, many Ethiopian and Eritrians have settled in North Oakland—bringing the flavor and color of their customs and cuisine with them. “We came here as immigrants, and now we are introducing our food and our culture to the community,” said Kesete Yohannes, co-owner of Asmara, the Temescal Ethiopian and Eritrean restaurant that celebrated its 25th year this weekend. Eritrean-born Yohannes moved to Oakland from Boston nearly three decades ago, “for the weather and the culture of the Bay Area,” he said. Though most Ethiopian and Eritrean immigrants move to the area to join family and friends who have found success in the region, Yohannes moved alone, meeting his wife, a fellow Eritrean in Oakland. Together they capitalized on the demand for the spicy, flavorful tastes of their native country. Asmara is now one of the most popular Ethiopian and Eritrean restaurants in Oakland. “We opened exactly today, October 15th, 1985,” Yohannes recalled on Friday night, proudly surveying the packed restaurant. “It was a Saturday,” he said with satisfaction as he passed through the dining area, chatting with patrons and accepting their hearty congratulations. As well as being a staple among food lovers in the area, Asmara has gained a reputation as a meeting spot for local Ethiopians and Eritreans, many of whom had arrived to honor of the restaurant’s anniversary. Customers ate and socialized among the black and silver balloons decorating the dining hall as servers wearing traditional white embroidery-trimmed dresses distributed large platters of marinated meat and vegetables with rolls of flat injera bread. Customers at Asmara in Temescal enjoy traditional Ethiopian and Eritrean food. Photo by Alyssa Fetini. Ann and Jack Rice of Temescal have been coming to Asmara for years, drawn to the region’s cuisine for its rich flavor and utensil-free, family style approach to eating, which involves scooping food directly off the platter using the spongy sourdough flavored bread. “Eating Ethiopian food is a little different, but fun. And it’s finger-licking good,” Ann said, holding up her sauce- covered fingers. Despite the longstanding enmity between the Eritrean and Ethiopian people—a 30-year war ended with Eritrea gaining sovereignty in 1991—many restaurants offer “Ethiopian Eritrean food” and attract people from both backgrounds despite historic clashes. Aside from the dinner table, Oakland’s Ethiopians also gather at their community church, Medhani Alem Orthodox Church on Mountain Blvd, which conducts services in Amharic, one of Ethiopia’s main languages. “The services are in our language and its very popular in our community,” said Tessafaye, who regularly visits Medhani Alem with her family and friends. Ethiopians and Eritreans traditionally eat with their hands from platters for meat and vegetables. Oakland has become a popular destination for the estimated 20,000 members of these populations living in the Bay Area. Photo by Alyssa Fetini.